From August 6-7, 20 University of Kentucky College of Engineering faculty members representing five departments, as well as staff from the Kentucky Transportation Center, participated in a research retreat funded by Office of the Vice President for Research. 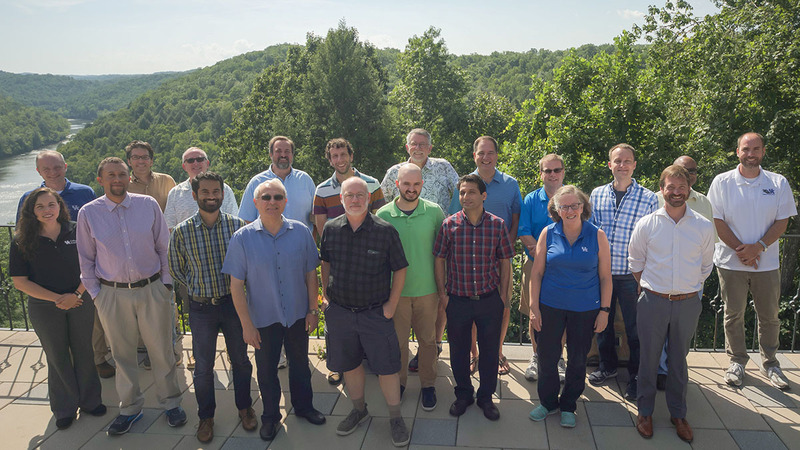 The retreat, which was held at Cumberland Falls State Park in Corbin, Kentucky, focused on developing, connecting and focusing UK’s existing research strengths in the area of autonomous systems across multiple technical areas and domain applications. The goal was for individual faculty attendees to develop initial proposal concepts that extend existing research directions or develop new ones able to fit into that strategy. Breakout sessions challenged tasked participants with brainstorming potential teams, identifying key technology gaps and even planning multiple $1 million and $10 million research projects.